I perceive the multiple series of prints that have emerged from my studio practice recently to be loosely connected, as if small indirect passages of the same dense poem. Although these works repeat in style and form, I do not intend to create allegiances among them, and yet, my entire body of work seems to be propelled by an elusive, almost subconscious, agenda. I could describe this trajectory or working methodology as a great “stumbling forward,” but my decisions are more calculated than such a definition may imply. Thus, along with my illusions of mysticism, I can confidently locate my current practice in an infatuation with the printing process, namely the abstractions I see in half-tone patterns and within the dissected colors of cyan, magenta, yellow, and black. 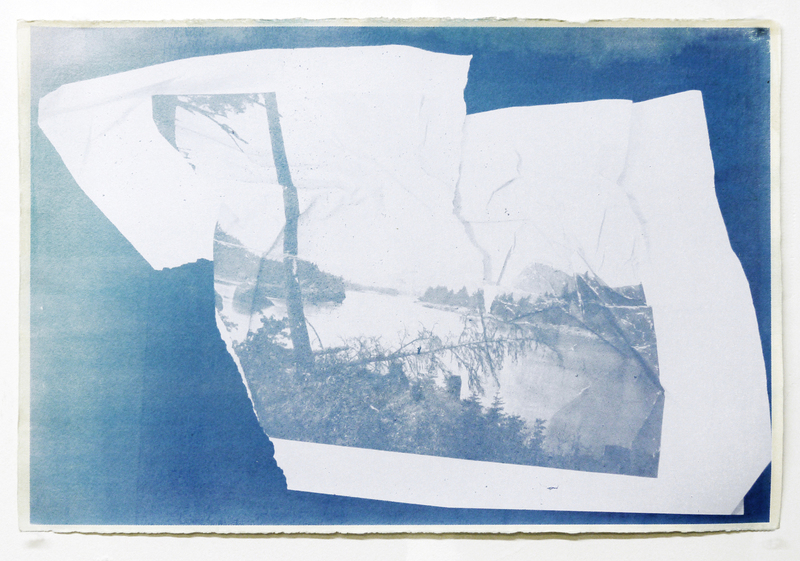 Despite my embrace of printing, I limit its material consequence by creating only one-offs or mono-prints. By stunting the process of reproduction, I aim to establish an image or space that can act as a referent for both the original and reproducible object. 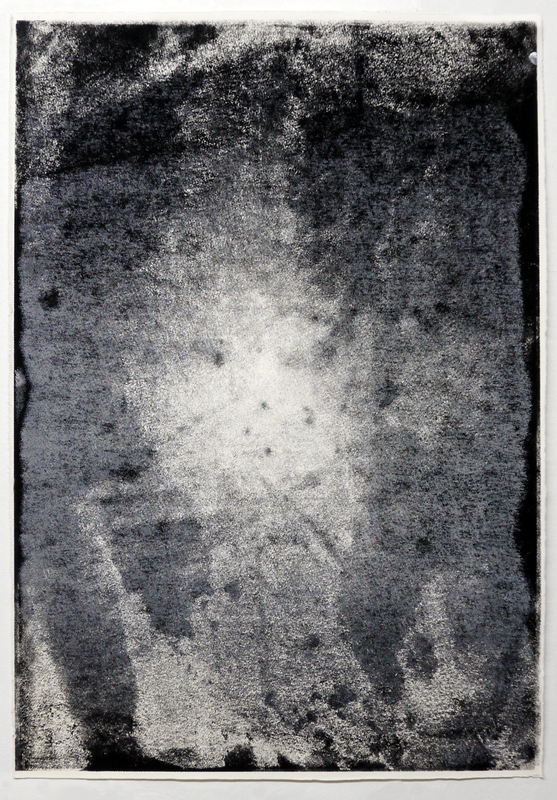 In addition to the physical and historical processes of printmaking, these established images and spaces also engage a murkier concept – the ghost. Neither the kind of specter presented in movies nor the Christian Holy Spirit, but rather a secular ghost; in the light accompanying the angel in paintings of the annunciation, I see this ghost poking at the Madonna with its strange and uncanny finger, prodding with all its wonderful otherness. A ghost willing to reach out from the shadows of my imagination and scratch at that tedious existential itch caused by rubbing against too many things that are real. Christopher Carroll currently resides in NYC, but I first encountered his work at MassArt in 2010. At the time, he was finishing up his MFA after stints at Skowhegan and VCU. Chris demonstrated such a thorough, and thoughtful, approach to making work that I have felt compelled to follow his practice since. 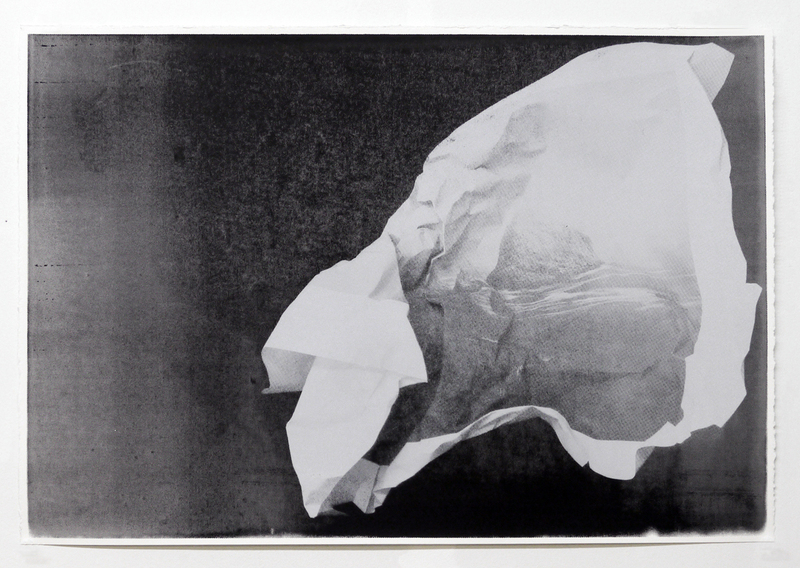 On the surface, his more recent print-based explorations stray from the intermedia approach that I was first drawn to, but they still demonstrate a sensitivity to process that is just as exciting. Be on the look out for more new work as the year progresses. 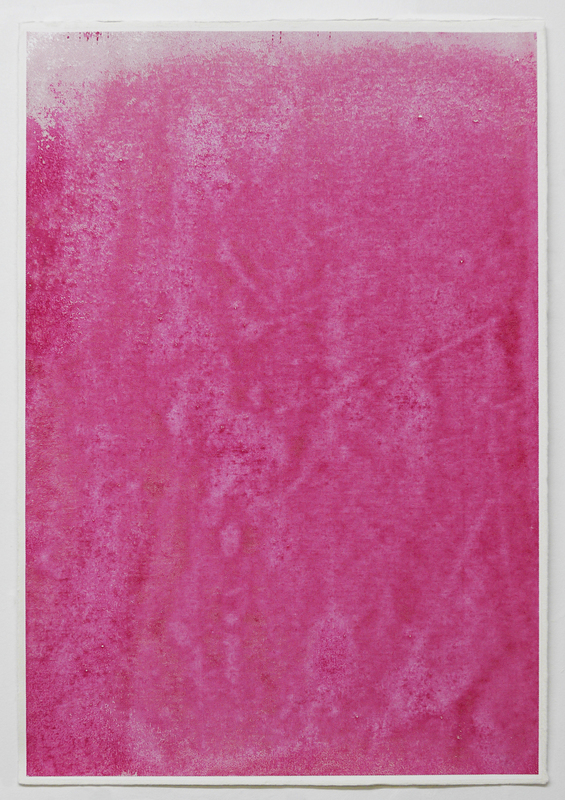 Tags: Christopher Carroll, fresco, printmaking. Bookmark the permalink.